Anyone who has been out in a boat or walking the lakeshore path on a Saturday morning in the summer has probably seen them: dozens of white sails stretching between bright orange marks, waiting for the sharp pop of the start gun, or rounding a point on a graceful puff of air, or rushing hull-to-hull toward the finish line. 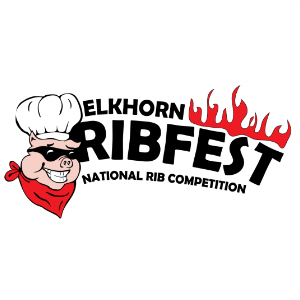 But most people who see this majestic sight don’t realize they are watching a highly competitive event steeped in tradition that dates back to the 1870s and don’t appreciate that they are witnessing an important and specific variation on a leisure pastime, one that is special to the Midwest. These are the races held by the Lake Geneva Yacht Club, a world-famous sailing club that boasts two Olympic sailors, a two-time US Women’s Sailing champion and US Sailing’s Rolex 2013 Yachtsman of the Year as members. During its distinguished history on Geneva Lake, the Club has been steered by the leadership of many of the lake’s most famous and influential men. The position of Commodore, the organization’s top post, has been filled by men with names like Fairbank, Porter, Selfridge and Schmidt. Today, the Club hosts races for eight competitive fleets and the Geneva Lake Sailing School provides lessons for sailors of all ages and abilities. In August of 1874, a small group of men sat around a table at the Whiting House hotel in Lake Geneva, one of the earliest “luxury” hotels in the area, to discuss an issue of great honor and importance to the fledgling town: how best to receive General Philip H. Sheridan when he visited the area later that month. General Sheridan was stationed in Chicago at the time, a prominent military officer who had proven his leadership skills by his successes in the Civil War and his coordination of the military response efforts to the Great Chicago Fire in 1871. On his visit to Lake Geneva in 1874, Sheridan expressed a desire to see a yacht race, a newly fashionable pastime across the country. So the men at the Whiting House, most of them yacht owners, decided to hold a race in his honor on August 31 of that year. They raised $200 to commission an elaborate silver trophy designed by the Chicago firm of Giles, Brother & Company to be presented to the owner of the winning boat. Thus, the Sheridan Prize race was conceived. Most sailing yachts of the era were known as “sandbaggers.” These large boats varied from one another in length, design and sail area, but they had one thing in common: they used heavy sandbags as ballast to prevent the boats from capsizing. Every time the skipper (the person steering) changed the direction of the yacht, a crew of up to 10 hauled the sandbags to the opposite side of the boat. To account for the variance, races of the era were handicapped by judges, to varying degrees of fairness. Seven such sandbaggers entered the inaugural Sheridan Prize race in 1874. The race proved to be hugely popular with the residents of the area who reportedly crowded the shores of the lake to watch as the Nettie, a 21-foot topsail sloop owned by former Chicago mayor Julian S. Rumsey, was declared the winner. General Sheridan observed the 17-mile race from the judges’ boat, inspiring an annual tradition that has survived to modern day. Building on the success of that single race, twenty months later at the Whiting House, the group of yacht enthusiasts met again and decided to form a club “for the enjoyment and support of sailboat racing on Geneva Lake.” They named their club the Geneva Lake Yacht Club. From the earliest days of the club, tensions abounded between members. The lack of boat standardization and the highly subjective handicapping system often inspired heated debate. Rules drafted prior to the second racing of the Sheridan Prize in 1875 excluded any boats that were not considered “sloops” which seemed to be a direct attempt to disqualify one particular sailor who owned a schooner. 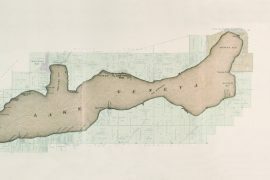 By the mid 1890s, sailors who lived on the west end of the lake objected to the location of the meetings and the fact that all of the races started in Geneva Bay, and formed their own yacht club, called the West End Yacht Club. The Geneva Lake Yacht Club reorganized as the Lake Geneva Yacht Club and incorporated in 1894. The rise in the popularity of golf in the late 19th century siphoned interest from the Lake Geneva Yacht Club, and the formation of the Lake Geneva Country Club in 1896 split the loyalties of many Yacht Club members. Advances in boat technology rendered the old sandbaggers archaic, but language in the by-laws of the yacht club prohibited the participation of any other kind of boat. As a result, official racing languished as owners of the new style of boats held independent races instead. 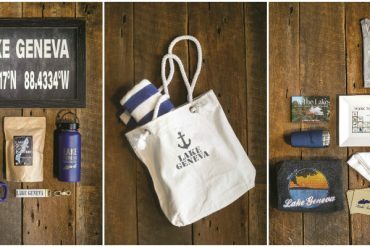 By the late 19th century, the Lake Geneva Yacht Club seemed in danger of disbanding completely and desperately needed a new focus. Favoring the latest boat-building technology, the organization established two classes of racing boats — a 17-foot class and a 20-foot class. Under the new rules, the handicapping system was abandoned; the first boat to cross the finish line in each class was the winner. This decision eventually led to the development of the types of racing boats still in use today: inland scows. Inland scows vary from the sailboats found on the coasts in several important ways. Developed to be sailed in the shallow water often found on inland lakes, they have no keel; this allows them to reach very high speeds but also makes them susceptible to capsizing. They feature relatively large sail areas and retractable bilge boards, which allows them to plane easily, further increasing speed. From the earliest inception of the ILYA, the organization hosted a championship regatta for these inland scows. In the early years, each club could send only their top sailor in each class, but over the years the rules softened to include anyone who wanted to compete. The annual ILYA regatta — or “Inland” as it is called — is still an enormously popular annual event that draws hundreds of racers to a host club each summer. The Lake Geneva Yacht Club will host the Inland in 2015. For the first 30 years of its existence, the Lake Geneva Yacht Club had no permanent campus. They generally raced out of the municipal pier in Geneva Bay and held meetings at the Whiting House or at members’ homes. 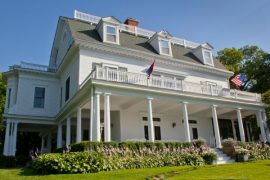 In 1902, after a decade of independence, the West End Yacht Club voted to dissolve and rejoin the Lake Geneva Yacht Club, and this spurred an interest on the part of the members in establishing a private clubhouse in a neutral location. In 1906, that goal became a reality when the LGYC signed a deal to lease land from one of their members, former Commodore (and son of the very first commodore of the Club) Kellogg Fairbank, who owned all of the land that is now Cedar Point Park in Williams Bay. Club members raised a significant amount of money to build a new two-story clubhouse on the leased land, and the building opened to great fanfare in time for the racing season of 1906. Unfortunately it was a short-lived victory. Ten years later, for reasons that have gone unrecorded, Fairbank declined to renew the Club’s lease, and the expensive new clubhouse had to be sold off. The Club remained rootless for the next decade, conducting races from members’ piers and meeting once again in private homes. But in 1926, members formed a holding company and bought lakefront property on the south shore opposite the old clubhouse, converting a two-story home on the property for use as a clubhouse. and races, but by 1938, interest in competitive sailing had reached levels significant enough to inspire the creation of an official sailing school. In 1939, the Club hired former Olympic swimmer and water polo player George Herbert Taylor as the full-time instructor, who began teaching a small group of students on a single 24-foot boat. The program continued to grow and attract more students. Amid the 1950s “baby boom,” the Sailing School officially incorporated as an independent but closely connected organization. In 1968, this led to the construction of a new building to replace the old clubhouse. At that time, Honorary Commodore Ernst Schmidt gifted the lakefront property to the Geneva Lake Sailing School. Twenty years later, Sailing School and Yacht Club members bought the adjacent Geneva Lake Boat Company property, providing the Sailing School with a space of its own. Melges points out that the Sailing School provides an important avenue by which people learn about and interact with the Lake Geneva Yacht Club: “We are picking up Yacht Club members through the Geneva Lake Sailing School; the children inspire the parents,” he says. Since the 1990s, the demographics of the Lake Geneva Yacht Club have shifted. Whereas in the past, many members lived on the lake and kept their boats on private piers, rising property values on lakefront property have forced a changeover in ownership of lakefront homes. 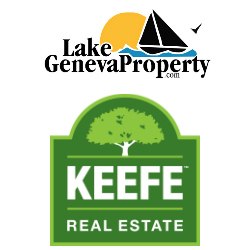 Increasingly, the uber-wealthy owners of lake homes spend as few as one or two weeks a year in the Lake Geneva area and do not join the Lake Geneva Yacht Club. Instead, the Club attracts passionate competitive sailors, many of whom travel to Geneva Lake from as far away as the Chicago suburbs for the challenging courses and top-notch competitors. In fact, the Lake Geneva Yacht Club racing program is so competitive that member Brian Porter was named US Sailing’s 2013 Rolex Yachtsman of the Year, a prestigious national honor that rewards excellence in racing. The sport of competitive sailing itself has changed over the years as well. To compete with the extreme sports popular with younger athletes, the boatbuilding industry continues to introduce faster, more challenging boats. Melges Performance Boats in Zenda has had enormous success by introducing several new models, including the Melges 24; the Lake Geneva Yacht Club currently has a fleet of 12. These boats tend to favor the young and strong, and as a result, the sport of modern racing sailing in some classes tends to skew heavily male. 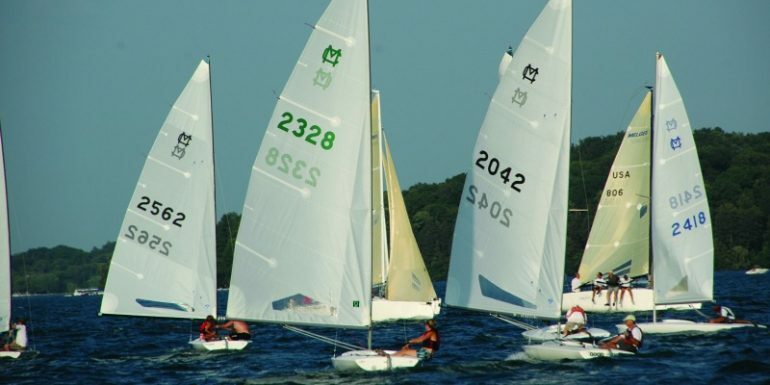 Throughout its 140-year history on Geneva Lake, the Lake Geneva Yacht Club has managed to establish its racing program as one of the best and most competitive in the Midwest, largely due to the intense passion of many generations of sailors and innovators who spend their summers hiked out on the high side, chasing that perfect puff. We’d like to thank Ellen Bentsen for gathering photos from LGYC members and providing caption information, along with other research for this story.